At World Expeditions, your safety is our first concern. Our specific protocols and safety analysis procedures, in conjunction with updates provided by our local partners and Government Travel warnings, allow us to carefully assess the stability of each region we visit and plan our operations accordingly. Our staff frequently review all aspects of our adventures to ensure we are providing you with the best possible travel experience. For updates on specific events and regions, please see our most recent travel warnings and advice below. Further to our recent update, we now provide further detail as to our operations in Nepal in respect of domestic air travel. As you are all well aware, Nepal is a mountainous country with unpredictable weather patterns. Domestic flights are used to access many of the most popular trekking regions. About 50,000 passengers safely fly each year within Nepal, to all corners of the country. World Expeditions utilises Tara Air and its subsidiary, Yeti Airlines, for our internal flights. These are also the airlines of choice for organisations such as the UN due to their higher safety record. Yeti Airlines and Tara Air have on their own initiative retained the services of Aviation & Marine Safety Solutions International (AMSSI), an internationally reputed safety audit firm, in order to help them achieve the highest degree of organisational safety possible given the nature of their operations and the constraints within the operational environment. AMSSI has been contracted to conduct a thorough safety audit, based on the standards of IATA IOSA, of Yeti Airlines and Tara Air once every two years. We are confident that the airlines we partner with hold the best possible safety standards given their environment. Adventure Travel in the Himalaya does involve certain risks. Flying is one of those and we recognise that some of our travellers may be concerned about flying in Nepal. Naturally we are not able to give any guarantees but our alignment with those airlines demonstrating a track record for safety and compliance is paramount. World Expeditions have been operating in Nepal for 40 years and in this time we have not been involved in any airline accidents. We plan to continue using the domestic airline industry for our range of treks and tours throughout the Himalaya and we welcome you to contact us should you have any questions in relation to forthcoming journeys. World Expeditions are deeply saddened to hear of an accident which occurred today at Lukla airport, when a flight operated by Summit Airlines collided with a helicopter while taking off, resulting in the loss of several lives as well as injuries. There were no World Expeditions travellers or staff on board. The airport has since reopened and is operating normally. Further updates will be posted in due course. Our thoughts are with the families of those involved. A security related incident, which did not involve a World Expeditions traveller, took place on 2 April 2019 evening when an American tourist travelling in the Queen Elizabeth National Park and her Ugandan guide were kidnapped by armed men. Other guests travelling in the same vehicle were left unharmed and raised the alarm at their lodge. On 7 April, both the missing tourist and guide were found safe and unharmed. This is a completely unprecedented incident in the area and further such incidents in the future are extremely unlikely, given the swift and decisive action taken by law enforcement authorities, the Uganda Wildlife Authority and lodge owners to step up security measures in the Ishasha section of the Queen Elizabeth National Park, and the security forces continuing in their pursuit of the perpetrators to bring them to justice. In line with our risk averse protocols, we have implemented precautionary measures and all our upcoming tours/game drives in the Ishasha area of Queen Elizabeth National Park will have extra security and be escorted by a Ranger Guide. The Ishasha section of the Queen Elizabeth National Park is home to magnificent tree climbing lions and is a highlight for many travellers to Uganda. The reinforcement of all security measures will deter similar events in the future and all World Expeditions scheduled departures to Uganda remain operational. The safety of our travellers is our number one priority. It should be noted that all government travel advisories remain unchanged, for Australia remaining at a high degree of caution. Uganda is, and remains, one of the most welcoming destinations the world over. Cyclone Idai has caused extensive flooding and damage to parts of Mozambique, Malawi and Eastern Zimbabwe. In addition, there are ongoing protests in Bulawayo and Harare (Zimbabwe). The overall level of Travel Advice from the UK, US, Canadian, New Zealand and Australian governments has not changed for these countries. Our local operators have advised that none of their trips will be affected. All World Expeditions scheduled departures to Zimbabwe, Malwai and Mozambique remain operational. The safety of our travellers is of the utmost importance; we are closely monitoring the situation and are in constant contact with our local operators. It is business as usual in Zimbabwe, Malawi and Mozambique. Should it be necessary, contingency plans will be enacted however, at present, all trips are operating as normal. We wish to update World Expeditions travellers with forthcoming travel plans to Kashmir as well as intending travellers on the tensions that arose between India and Pakistan during the last week of February. On 14th February a car bomb was driven into a convoy of roughly 70 vehicles carrying CRPF (Central Reserve Police Force) personal on the Srinagar to Jammu highway around 30km (18 miles) from the main city. On 26th February India launched an air force attack on terrorist camps in Pakistan that resulted in a retaliatory attack by Pakistan air forces the following day. Tensions were reduced on 28th February when Pakistan agreed, as a peace gesture, to release an Indian air force officer whose aircraft had been shot down in Pakistan. The officer was released on 1st March. While since then there has been a number of minor incidents along the Indian and Pakistan (LOC) Line of Control the area is well away from Srinagar and in fact, has been off limits to foreigners since 1947. In summary there is a general consensus that tensions have reduced between India and Pakistan with the Indian political parties now focusing on the Lok Sabha elections scheduled in April. As always, the safety of our travellers is our highest priority and we will continue to monitor events on the ground, enacting changes to upcoming departures if necessary. Our Indian Himalaya expert, Garry Weare along with his wife Margie Thomas are currently in Kashmir and in consultation with senior administrators who have reported that the situation in Srinagar (where our groups travel) is returning to normalcy. Future travellers will be contacted regarding contingency plans if they are required. Currently World Expeditions does not have any travellers in the region. Our trips upcoming in May, September and October carefully follow the Australian government advisory* has not changed since the outbreak of political tensions in mid-February. It should also be noted that tourists have not been the target of militant attacks and that all political parties including the Hurriyat (who represent the various militant groups in Kashmir) welcome both domestic and foreign tourists to the Kashmir Valley. We wish to update World Expeditions travellers with forthcoming travel plans to Kashmir as well as intending travellers about an incident that occurred on Thursday, 14th of February in the Indian administered Kashmir. A car bomb was driven into a convoy of roughly 70 vehicles carrying around 2,500 Indian troops to the Kashmir Valley. The incident took place along the Srinagar to Jammu highway around 30km (18 miles) from the main city. It is reported that Pakistani militant group Jaish-e-Mohammed has claimed responsibility for the attack. World Expeditions does not currently have any travellers in the region. Our trips upcoming in May and September carefully follows the Australian government advisory and do not use the Srinagar to Jammu highway, instead transporting guests by air. It should also be noted that tourists have not been the target of this attack. The Australian government travel advice has remained unchanged following this incident. As always, the safety of our travellers is our number one priority and we will continue to monitor events on the ground, enacting changes to upcoming departures if necessary. Our Indian Himalaya expert, Garry Weare will be arriving in Kashmir in the following days and we will be making further assessments. Future travellers will be contacted regarding contingency plans if they are required. On 15 January 2019 an attack occurred at the DusitD2 luxury hotel and office complex in the Westlands suburb in central Nairobi, sadly resulting in fatalities and injuries. The Somalia-based militant group Al-Shabab has claimed responsibility for the attack. All World Expeditions travellers and local staff are safe and well. The overall level of Travel Advice from the UK, US, Canadian, New Zealand and Australian governments for Kenya has not changed – i.e. For Australia (DFAT) it remains ‘Exercise a high degree of caution’ in Kenya overall; with higher levels applying in some parts of the country. We continue to monitor these advice and heed advice from our partners in Kenya. Authorities advise that the area and buildings are now secure, and it is business as usual in Nairobi. There is a general heightened terrorism alert globally. Kenya has been sending troops to fight against Al-Shabab in Somalia since 2011, and has seen a number of terror attacks in recent years – most notably in areas close to the Somali border and in the country's capital. All World Expeditions scheduled departures to Kenya remain operational. The hotels we use in Nairobi have an extremely high level of security, utilising features such as vehicle barriers, baggage scanners and security guards, depending on the property, to mitigate security concerns. World Expeditions are by nature risk averse when it comes to the safety of our travellers, and this is a position we will not compromise on. World Expeditions and our local partners in Kenya and East Africa continue to monitor the situation. On Friday evening on 28 December 2018, a roadside bomb blast hit a tourist bus near the Giza Pyramids outside Cairo, leaving 4 people killed (3 Vietnamese nationals and an Egyptian guide) and 11 others injured. This is the first incident involving tourists in Egypt in more than a year. Investigations are continuing. No one has yet claimed responsibility for the incident, however militants have targeted tourists in the past. The overall level of government travel advice for Egypt has not changed (i.e. Reconsider your need to travel). Travellers in Egypt should exercise heightened vigilance in public places in Egypt (including in and around religious sites) and during religious festivals or holiday gatherings; pay close attention to your personal security at all times; monitor the media and other sources about possible new security risks; avoid any local protests and demonstrations; and follow the advice of local authorities, exercising a high degree of caution because of the high threat of terrorist attack. There is one private Egypt family trip operating at the moment until 1 January, one Egypt Explorer trip starting on 3 January, and a private Egypt trip starting on 21 January. It is business as usual in Egypt, with visitors continuing to visit the Giza Pyramids and Sphinx since the incident. There is a general heightened terrorism alert globally. The authorities in Egypt maintain a significant security presence across the country, including armed security officers stationed at important sites, critical infrastructure, and road checkpoints. Extra measures are in place at tourist sites. All World Expeditions scheduled departures to Egypt remain operational. World Expeditions are by nature risk averse when it comes to the safety of our travellers, and this is a position we will not compromise on. World Expeditions and our local partner in Egypt continue to monitor the situation. A tsunami hit coastal areas around the Sunda Strait on 22 December 2018, affecting the Pandeglang, South Lampung, and Serang districts (including the resort area of Anyer), causing significant loss of life and substantial damage to infrastructure and properties. Our thoughts are with all those affected by this tragedy. The Indonesian Ministry of Tourism has told tourists to stay away from the Sunda Strait for the time being. World Expeditions do not currently have any travellers in country. We do not anticipate disruption to any of our clients travel plans to Indonesia in 2019 as a result of this event, however we continue to monitor and assess developments. Future travellers will be contacted regarding contingency plans in the unlikely event they are required. Our teams in Indonesia are all safe and we are working behind the scenes in relation to support for those affected. On Monday 17 December, two female tourists who were trekking in the Mount Toubkal region were killed. It appears to have been an isolated and deliberate attack, with these tourists travelling alone without a guide and camping in a wild spot between Imlil and Mount Toubkal. Investigations are underway by local authorities to determine the motive and circumstances behind the attack with four individuals under arrest. There are currently no government travel restrictions in place for Morocco. The various government travel advisories recommend that travellers should avoid hiking alone in remote mountain areas; and that if you’re planning to hike on Mount Toubkal or on other mountains in Morocco, to seek local advice and take necessary precautions, including safe camp arrangements. Trekking or camping alone can be dangerous; consider joining a group or hiring a registered guide. We have worked with our local Moroccan operator for many years, and the vast majority of their trusted local Berber guides have worked for them for many seasons. Naturally they know the areas to which we travel, and the people that inhabit them, intimately. Our Moroccan partners advise that there is a heightened security presence and increased police controls along the route to Mount Toubkal and by the mountain refuge to ensure the safety of foreign travellers, with this incident being the first of its kind in Morocco. We understand that these tourists were travelling unaccompanied; whereas our groups are travelling with a reputable company and accompanied by local, experienced and trusted guides. We regularly send and are continuing to send many World Expeditions clients, along with school and charity groups trekking in the High Atlas Mountains, and climbing Mounts Toubkal and Ouanoukrim, and have done so without incident. There is a general heightened terrorism alert globally, and the Moroccan authorities have undertaken increased security measures as a result. It is business as usual in Morocco, and all World Expeditions scheduled departures to Morocco remain operational. World Expeditions are by nature risk averse when it comes to the safety of our travellers, and this is a position we will not compromise on. We will provide updates if there are any developments warranting concern. World Expeditions along with our local partners in Sri Lanka are monitoring developments there following the recent political unrest in that country. Currently, events in Sri Lanka will bear no impact on any of our itineraries operated in the country as the protests are largely focused on areas of political significance and not generally frequented by travellers. Advice to travellers intending to visit Sri Lanka from foreign governments overall remains unchanged, with governments advising travellers to exercise the normal precautions one would when travelling with additional advice to “avoid all demonstrations and large public gatherings”, due to the risk of any such gatherings turning violent. There currently exists an increased likelihood of large protests and demonstrations in Sri Lanka due to political instability. Monitoring local media for updates is often the best and quickest way to stay abreast of developments. Further advice will be provided should there be any escalation in the current situation though World Expeditions would like to note that the safety of our travellers is foremost in our planning and will not be compromised. On 11 October at 7am local time, an earthquake struck part of New Britain, the largest island in the Bismarck Archipelago 200 km south-west of Rabaul in Papua New Guinea. Initially reported at a magnitude of 7.3 and reviewed to 7 by the Global Disaster Alert and Co-ordination system, there have been aftershocks reported at magnitude 5. Potential damage is being assessed but at time of writing is not considered to be significant with reports from Rabaul that whilst felt, the quake did not result in damage. Villages closer to the epicentre are being contacted. A tsunami warning issued close to the time of the earthquake has been cancelled. World Expeditions currently has trekkers on the Kokoda trail which far from the earthquake zone. 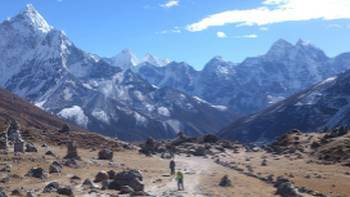 They are all safe and well, with the guide reporting this morning that the trek is progressing as planned. As always, the safety of our travellers is our foremost priority and one we take very seriously. As normal, we will continue to receive updates from our team on the ground as the trip progress however no changes are envisaged as a result of the earthquake. Future trips are all scheduled to operate as normal. On Sunday at 20:00 (11:00 GMT), Typhoon Trami made landfall near the city of Osaka. With wind speeds of up to 216 km/h (134 mph), the typhoon triggered widespread disruption, with many flights and trains cancelled and over 750,000 homes were left without electricity. Kansai Airport (Osaka) did close its runways whilst the typhoon passed but had reopened to full capacity by Monday. At last report, approximately 120 people were injured but no fatalities have been recorded. World Expeditions do have travellers in country. However, we are pleased to report that they are all safe and sound with relatively few disruptions to itineraries. All upcoming departures are currently planned to operate as per set itineraries and travellers will be notified of any necessary changes to arrangements. As always, the safety of our travellers is our utmost priority and our local offices are working around the clock to ensure the smooth running of our trips, with as little disruption as possible. Should you have any questions regarding your upcoming departure with us, please contact your Adventure Travel Consultant. On Friday 28th Sept at just before 18:00, a 7.5 earthquake was recorded along the coast of central Sulawesi, Indonesia, triggering a tsunami. Within 30 minutes, 5m high waves crashed ashore in the city of Palu, located at the end of a narrow 10km-long bay. This has unfortunately resulted in a catastrophic loss of life in the local area and substantial damage to infrastructure and properties. Our thoughts are with all those affected by this tragedy. World Expeditions do not currently have any travellers in country. As always, the safety of our travellers is our number one priority and we will continue to monitor events on the ground, enacting changes to upcoming departures if necessary. Future travellers will be contacted regarding contingency plans if they are required. Our teams in Indonesia are all safe and we are working behind the scenes in relation to support for those affected. On Tuesday 4th September Western Japan was struck by Typhoon Jebi, the strongest in 25 years, resulting in several deaths and over 150 injuries. Our thoughts are with all those affected. The typhoon moved north from the Philippines Sea across the main island of Honshu, passing over Kobe, Osaka and Kyoto before heading over the Sea of Japan to the north. Wind speeds of 215km per hour were recorded by the Japan Meteorological Agency. Over a million residents have been ordered to evacuate amid warnings of floods and landslides. Hundreds of flights have been grounded with Kansai Airport closed, leaving at least three thousand people stranded. Separately, overnight a magnitude 6.7 earthquake struck southern Hokkaido, with the epicenter east of the city of Tomakomai. The earthquake triggered landslides and assessments of damage are ongoing. World Expeditions do not currently have any travellers in country. As always, the safety of our travellers is our number one priority and we will continue to monitor events on the ground, enacting changes to upcoming departures if necessary. Future travellers will be contacted regarding contingency plans if they are required. A magnitude 7 earthquake struck the Indonesian island of Lombok on Sunday evening, sadly resulting in over 80 fatalities at last report. The latest quake comes a week after another on Lombok which caused the loss of over a dozen lives. Sunday’s quake triggered a brief tsunami warning (now removed) and damaged buildings as far away as Denpasar in Bali where ceiling panels were shaken loose at the airport. Aftershocks are continuing. Indonesia is prone to earthquakes due to its location on the Pacific "Ring of Fire", an arc of volcanoes and fault lines in the Pacific Basin. 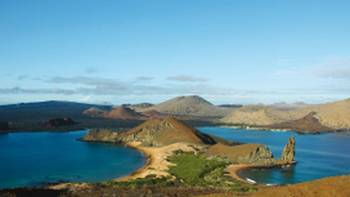 There are no World Expeditions clients currently in Lombok or surrounding areas. Out of respect for those affected and to assess the possible impact of the earthquake in our capacity to undertake itineraries, we have suspended our Bali, Rinjani Climb & Gili Islands and Volcanoes and Dragons of Indonesia trips for the immediate future – both of these trips spend time in Lombok. These trips will be reinstated when tenable. Our thoughts are with those affected by this tragedy. On Sunday, 3rd of June 2018, Guatemala’s Fuego volcano erupted. The volcano is located about 40km south-west of the capital Guatemala City. Initial reports indicate that seven people have lost their lives and 300 injured. More than 3,100 people have been evacuated from their homes while search and rescue efforts continue. The international airport in Guatemala City, La Aurora, has been closed due to falling ash. Our thoughts are with those affected by the eruption. There are no World Expeditions travellers in Guatemala at present and assessments for future trips are ongoing. Government travel advisories remain unchanged. As always, the safety of our travellers is our foremost priority and we will continue to monitor the situation. On Sunday the 13th of May, there were attacks on three churches in the port city of Surabaya in East Java which sadly resulted in multiple injuries and fatalities. Our thoughts are with those affected. Separately, on 11 May 2018, Mount Merapi, near Yogyakarta in central Java, erupted. Our trips do not visit this area and the Indonesian authorities have set a 3km exclusion zone around the volcano. There are no World Expeditions travellers currently in Java. As always, the safety of our travellers is our number one priority and we will continue to monitor events on the ground, enacting changes to itineraries if required. Government travel advisories remain unchanged. On Thursday the 3rd of May, the Kīlauea Volcano, the youngest and south-eastern most volcano on the Island of Hawai‘i (also known as the Big Island) erupted, spewing molten rocks and high levels of sulphur dioxide into the area. This was followed by a 6.9-magnitude earthquake on Friday. The Hawaiian Volcanoes Observatory has reported that active eruption of lava and gas continues along Kīlauea Volcano's lower East Rift Zone within the Leilani Estates subdivision. Since late yesterday evening, fissure eruptions have been continuous, and a lava flow has advanced northward about 0.9 km. Deflationary tilt at the summit of the volcano continues and the lava lake level continues to drop. Aftershocks from Friday's earthquake continue and more should be expected. By Sunday, at least nine homes had been destroyed as a result of the eruption and all residents of Leilani Estates, a community of about 1,700 people near the Big Island's eastern edge, and nearby Lanipuna Gardens have been ordered to evacuate. There are no World Expeditions travellers currently in Hawaii and contingency plans are being enacted for forthcoming groups where required. As always, the safety of our travellers is our number one priority. It should be noted that there are currently no increased travel advisories for Hawaii from the governments in Australia and New Zealand however we are closely monitoring this fluid and unpredictable situation with our travellers best interests at heart. A tragic accident occurred at Kathmandu Airport yesterday afternoon (Nepali time) involving a US-Bangla Airlines flight originating in Dhaka, Bangladesh which resulted in numerous fatalities. Investigations into the cause of the accident are ongoing though at this stage is appears it may be as a result of pilot error. Kathmandu International Airport is serviced by a number of reputable international airlines with numerous arrivals and departures each day, the overwhelming majority of these occur without incident. Following this accident, World Expeditions sees no reason that this would change and seeks to reassure its travellers that there is no additional risk associated with flying to or from Kathmandu as a result of yesterday’s incident, nor is the airport any more susceptible to landing challenges than any other. There were no World Expeditions travellers involved in the accident. There has been no disruption to the travel plans of any World Expeditions groups currently in Nepal in terms of their arrival, departure and internal flights and the airport has now resumed normal operation. Our thoughts are with those affected by this tragedy. As per previous advice on this page, there was an outbreak of plague in Madagascar in 2017 which differed from the ‘normal’ endemic versions normally seen, with more cases of pneumonic (as opposed to bubonic) plague which is highly contagious. Plague is an endemic disease in Madagascar (among other countries including Peru), with cases of bubonic plague being reported nearly every year, particularly during the epidemic season between September and April. However, a pneumonic plague event has been reported in a non-endemic area and in densely populated cities for the first time. Bubonic plague is spread by infected rats via flea bite, pneumonic by person-to-person transmission. The current outbreak includes both forms of plague. Human-to-human transmission typically requires contact with the person with pneumonic plague. On 27 November, the World Health Organisation (WHO) reported that the outbreak in Madagascar has been contained, with no new cases of confirmed bubonic plague notified after 18 November, and no new cases of confirmed pneumonic plague notified since 19 November. Authorities are still maintaining control measures and sanitary protocols (ie. exit screening, temperature monitoring, disinfection of public places, contact tracing, etc) until the passing of the annual rainy season in April 2018 to avoid any relapses. Everything is back to normal in Madagascar; with all businesses and schools currently open. We have had groups travelling in Madagascar since August, all have undertaken their journeys without incident though it remains caution and careful adherence to personal hygiene is required. Precautionary measures are being taken and advice to travellers provided, namely very stringent hand-washing hygiene and monitoring of personal health with a keen eye on possible symptoms, wearing insect repellent and avoiding any identified high risk areas and crowded public places. Our leaders in Madagascar are on hand to monitor and assist travellers in staying healthy on our trips and are well versed in all precautionary measures. It should be noted that the UK, Australian, USA, Canadian and New Zealand governments are not advising against travel to Madagascar and the WHO, at the time of writing, advises against any restriction on travel or trade on Madagascar. To date, there are no reported cases related to international travel, and WHO recommends that travel measures put in place by neighboring countries in relation to this outbreak be discontinued, given the containment of the pneumonic plague outbreak. We are still monitoring the situation, and consult frequently with our medical advisor Dr Ross Anderson and any recommendations made by the WHO. All our trips are operational in 2018. As always the safety of our travellers is our foremost priority and this will not be compromised. Following the military action in Harare Zimbabwe on 13 November with President Mugabe being placed in military custody, government travel advisories are advising travellers to reconsider need to travel to Harare. None of our trips visit Harare and it should be noted that this advisory does not apply to Victoria Falls or Hwange National Park. We are in constant contact with our local operators in Victoria Falls, and they advise that the situation on the ground remains unchanged and it is very much business as usual. Borders are open with travellers arriving from Botswana, Livingstone Zambia and Hwange National Park with no road blocks along the way; and inbound/outbound flights into Zimbabwe are operating as scheduled. Please be aware that immigration may take longer than usual – please allow at least 4 hours for check-in and screening procedures and extra time for road transfers/border crossings. However in Harare there is an increased military presence, including road blocks and baggage searches at Harare Airport. Travellers are being advised to avoid demonstrations, rallies and large-scale public gatherings as they could turn violent, and not engage in any political activity including political discussions in public places. The overall travel warning level in Zimbabwe remains unchanged at “Exercise a high degree of caution” for Australian travellers and equivalent levels for those from the UK, US, Canada and NZ. The safety of our travellers is of the utmost importance; we are closely monitoring the situation and are in constant contact with our local operators. Should it be necessary, contingency plans will be enacted however at present all trips are operating as normal. Typhoon Damrey made landfall on Saturday 04th November in the southern region of Vietnam resulting in flooding and damage to buildings and infrastructure. The southern city of Nha Trang and surrounding area was the worst affected. The tourist hotspot of Hoi An has also seen significant flooding. The worst of the strong winds have now dissipated and clear-up operation is under way. However, heavy rain is forecast until at least Tuesday (07th) throughout the region causing a continued risk of flooding and landslides in rural areas. All World Expeditions travellers are safe and accounted for. Impacts on future trips (if any) are being assessed and details will be forwarded to those travellers affected. However, it is expected that trips should continue, potentially with slightly amended itineraries. As always the safety and security of our travellers is our foremost priority and we are in constant contact with our office in Vietnam. Typhoon Lan made landfall at Shizuoka, 175km (110 miles) south-west of Tokyo, at about 03:00 local time on Monday (18:00 GMT Sunday). Gusts of up to 198km/h (123mph) hit the country. The storm drenched many regions over the weekend causing wide spread flooding which led to almost 300 flights being cancelled on Monday, after 500 were cancelled on Sunday. Our office in Japan has advised that the main storm has past the Kanto region (Tokyo), heading north. All World Expeditions clients are safe and itineraries continuing as planned. Minor changes to itineraries of those currently travelling have been implemented and tours are continuing with no major disruptions. All forward trips are operational. There is an outbreak of plague in Madagascar which differs from the ‘normal’ endemic versions normally seen, with more cases of pneumatic (as opposed to bubonic) plague which is highly contagious. Plague is an endemic disease in Madagascar (among other countries including Peru), with cases of bubonic plague being reported nearly every year, particularly during the epidemic season between September and April. However, a pneumonic plague event has been reported in a non-endemic area and in densely populated cities for the first time. Bubonic plague is spread by infected rats via flea bite, pneumonic by person-to-person transmission. The current outbreak includes both forms of plague. Human-to-human transmission typically requires contact with the person with pneumonic plague. The World Health organisation have mobilised a response to the present outbreak and wide ranging strategies are in place in an effort to control it. We have groups on the ground in Madagascar at present and they are continuing on as planned, however it is the case that the situation can and will change quickly. There are precautionary measures which can be taken, namely very stringent hygiene and monitoring of personal health with a keen eye on possible symptoms. Whilst death can result if left untreated, it can also be cured by common antibiotics if delivered early. World Expeditions continues to monitor the situation daily and consults frequently with our medical advisor, Dr Ross Anderson and refers to recommendations made by the World Health organisation. It should be noted that the UK, Australian, Canadian and New Zealand governments are not currently advising against travel to Madagascar and the World Health Organisation, at the time of writing, advises against any restriction on travel or trade on Madagascar. Advice to travellers departing this year has been provided and advice for 2018 departures will be provided as departure dates near, with the expectation that the situation will normalise once the annual rainy season passes and ongoing efforts at control of the outbreak bear fruit. As always the safety of our travellers is our foremost priority and this will not be compromised. Our thoughts are with those affected by the outbreak and we commend the efforts of those who seek to control it. Tropical Cyclone Nate swept through Central America this week leaving widespread damage across the region due to severe flooding. Monteverde, Costa Rica was severely affected but we have been informed by our office in Costa Rica that the recovery progress is expected to be swift with work already underway. We do not envisage any changes to existing itineraries and have travellers set to arrive later in the year. Most major roads are now open and safe to travel. As always the safety and security of our travellers is our foremost priority and we are in constant contact with our offices in Central America. Air Zimbabwe has recently been refused permission to operate flights in the EU due to an apparent inability to demonstrate compliance with international air safety standards. It is strongly recommended that this be taken into account when choosing an airline for inbound and outbound travel to Victoria Falls Airport. Wildfires in California’s Sonoma and Napa Counties have resulted in at least 23 deaths and thousands homeless this week. World Expeditions does not currently have any travellers in this region. As towns in the region have been evacuated, and businesses and communications have been affected, our California Wine Route by Bike tour is temporarily unavailable for new reservations. No other World Expeditions tours/travellers have been affected. We will continue to monitor the situation and have every intention to support local businesses in the affected regions once it is safe to return. World Expeditions expresses deep concern for the plight of the Rohingya people in the Rakhine State of Myanmar. We support the recommendations put forth by former UN chief, Kofi Annan, who was appointed by Aung San Suu Kyi to lead a Commission into the persecuted Rohingya minority with a view to mitigate the tensions there. According to the Commission’s Terms of Reference – agreed by the Government of Myanmar and the Kofi Annan Foundation – the Commission analysed the present situation of all communities in Rakhine State, and sought to identify the factors that have resulted in violence, displacement and underdevelopment. In accordance with established international standards, the Commission developed recommendations within five thematic areas: conflict prevention, humanitarian assistance, reconciliation, institution building and development. World Expeditions considers that if the recommendations are engaged the situation will be vastly improved. Additionally, World Expeditions would like to assure travellers that the affected border areas have long been closed to tourists and that we only visit parts of Myanmar authorised by the Myanmar Government. The vast majority of Myanmar is safe, welcoming and open to tourism. We are urging all travellers to continue to visit Myanmar as thousands of local families and private small businesses across the country have become dependent on tourism for their income. Boycotting this wonderful destination would penalise the local people who are now dependent on Myanmar’s fledgling tourism economy. All our trips are operational and as always, we will continue to monitor the situation carefully. We utilise the advice of government authorities, including the Australian Government Department of Foreign Affairs & Trade (DFAT) and those of Canada, the United Kingdom, the United States and New Zealand when assessing the operation of our trips along with the local knowledge inherent in our global offices. The safety of our travellers is of utmost importance to us and we will continue to remain vigilant as always in monitoring and reacting to any situations should they arise. We encourage travellers to visit Myanmar and will continue to support the local communities so in need of tourism. After a difficult week for most people in Cuba after Hurricane Irma, the clear up process is progressing well and only the worst affected regions of the country are yet to reopen fully. The majority of streets in Havana now have electricity back. The Northern Keys of Central Cuba that are popular with all-inclusive beach holiday-goers are closed for repair, and also some hotels in Varadero. We have one trip due to start (Mexico & Cuba Explorer arrives in Havana on 1st Oct), and there is no impact on the itinerary or any hotel changes. The Havana Airport is back to full operation, and all major routes between destinations are safe to travel. As always the safety and security of our travellers is our foremost priority and we are in constant contact with our offices in Cuba and Central America. Tropical Cyclone Doksuri made landfall in Northern Vietnam today resulting in localised flooding, power outages and damage to homes, primarily in Ha Tinh, Quang Binh and neighbouring Nghe An and Quang Tri provinces. All World Expeditions travellers in Vietnam are safe and accounted for. Halong Bay cruises are currently suspended and flight cancellations are widespread, including those between Hanoi and Ho Chi Minh City. Contingency plans are being enacted for those in country and the impacts on future trips (if any) are being assessed. More details will follow however it is expected that trips should continue, potentially with slightly amended itineraries. The typhoon is expected to weaken before dissipating in northern Laos early Saturday. As always the safety and security of our travellers is our foremost priority and we are in constant contact with our office in Vietnam as this fluid situation evolves. There is community unrest and blockades that have affected transport routes around Achacachi and other areas near Lake Titicaca, including roads to Copacabana. As always the safety of our travellers is our foremost priority. World Expeditions and our partners in Bolivia and Peru continue to monitor the situation and we are receiving constant updates, and if necessary will effect contingency plans or short detours which will not affect any tour operations or services in Lake Titicaca, Copacabana and La Paz. Much media attention is focused on the ongoing tensions in the Korean Peninsula and missile testing in the region, though for all intents and purposes, all is as normal in the surrounding countries. All World Expeditions trips in Asia, including Japan and China remain operational with our specific protocols and safety analysis procedures being carefully adhered to. We utilise the advice of government authorities, including the Australian Government Department of Foreign Affairs & Trade (DFAT) and those of Canada, the United Kingdom, the United States and New Zealand when assessing the operation of our trips along with the local knowledge inherent in our global offices. The safety of our travellers is of utmost importance to us and we will continue to remain vigilant as always in monitoring and reacting to any situations should they arise. Our local teams in Japan and throughout Asia are eager as always to showcase their countries and look forward to welcoming our World Expeditions travellers. Torrential Monsoon rains have caused major flooding throughout southern Nepal, including Chitwan National Park. Sadly, 49 fatalities have been reported so far, with hundreds of houses inundated. None of our trips are affected and we will continue to monitor conditions. As always, the safety of our travellers is our foremost concern. If required, contingencies will be implemented however at this stage it is expected that all trips will operate as planned. Our thoughts are with those affected. Elections for the new constituent assembly were held on 30 July. Violent protests and civil unrest continue, with security forces out in strength since 23 July. The level of the advice remains “Reconsider your need to travel to Venezuela”. The safety of our travellers is our foremost priority, and accordingly World Expeditions has made the decision to suspend trips to Venezuela for the time being due to ongoing security concerns. World Expeditions and our partner in Venezuela continue to monitor the situation and we are receiving constant updates. Venezuela is a beautiful country and we will resume operations once the security situation has improved. There have been heavy rains across many regions of Peru in recent weeks causing flooding, landslides and mudslides. Trujillo and surrounding areas in the north of Peru have been particularly affected as have areas of Lima. November through April is the rainy season in Peru and every year this region experiences flooding and landslides in some regions. Our partner has advised that at present no World Expedition trips have been affected. We will of course be monitoring the situation and will provide updates if there are any further developments. In the event that any of our trips will be affected, contingency plans will be implemented to ensure their smooth running. As always the safety of our travellers is our foremost priority. World Expeditions and our partner in Peru continue to monitor the situation and we are receiving constant updates. A 6.9 magnitude earthquake off north-eastern Japan near Fukushima prefecture has prompted a tsunami warning of possible 3m waves; small tsunamis have been observed in coastal areas. The quake struck this morning at about 06:00 local time with an estimated depth of around 25km. Damage from the quake remains unclear, but there are some reports of minor injuries. Tremors were felt in Tokyo and residents have been urged to evacuate some coastal areas. A tsunami warning has been issued for Fukushima prefecture and Miyagi prefecture. 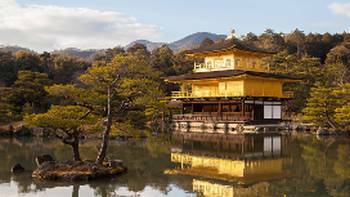 World Expeditions presently has a group of travellers on our Backroads of Japan trip who are now in Nara and safe and well; their itinerary will continue as planned unless changes become necessary. The safety of our travellers is our foremost priority. We will continue to monitor the situation and further updates will be provided if required. Those in Japan should follow all instructions issued by local authorities, including evacuation orders, and should expect aftershocks. Our thoughts are with those affected by this event. Currency restrictions remain in place across India. No more than 2,000 Indian rupees (around AUD40) may be exchanged over the counter at one time. The current ATM withdrawl limit is 2,500 rupees (around AUD50). Indian authorities recently announced that all 500 and 1,000 rupee bank notes were to be withdrawn from circulation as part of a crackdown on corruption and counterfeit currency. Please do not rely on ATMs or the bank to withdraw money in India at this time. We suggest all travellers bring foreign currency to exchange upon arrival in India. Please also use ATMs at the airport on arrival. The Zika Virus (ZIKV) is a mosquito-borne disease, transmitted by some species of Aedes mosquito which bite in the day, particularly around dawn and dusk. The Zika virus is present in a number of countries in Central and South America, the Caribbean, the Pacific and parts of Asia. Click here for a list of affected countries, in order of prevalence of the disease. Travellers are advised to protect themselves from mosquito bites by using insect repellents and wearing long sleeves and long pants, especially during daylight when the mosquitoes tend to be most active. The virus has been identified as a particular concern for pregnant women and they are being urged to reconsider or postpone their trips to countries affected by the virus. For more information, see the World Health Organisation (WHO) website here. We will be monitoring the situation and provide updates if there are any further developments warranting concern. For now, all of our trips remain operational. World Expeditions joins the people of Thailand and people all over the world in offering our deepest condolences and respect upon the passing of King Bhumibol Adulyadej of Thailand. The dedication of His Majesty to the well-being of the nation and its people is unparalleled. Thailand is entering a period of mourning that will last for one year commencing 14 October 2016. During the first 30 days of the mourning period, all public festivities are cancelled. In the initial period, some entertainment venues may decide to close or operate with restricted hours. Major sites, with the exception of Wat Pra Kaew (Temple of the Emerald Buddha) and the Grand Palace in Bangkok, are open as usual, as are restaurants and shops. The general atmosphere is, as expected, subdued. Travellers should exercise special sensitivity as Thailand mourns the passing of its monarch. The Tourism Authority of Thailand encourages visitors to continue with their travel plans as normal and has created a list of recommendations regarding the Mourning Period for His Majesty King Bhumibol Adulyadej. The recommendations should be adhered to as a mark of respect and solidarity with the Thai people. Many Thai people will be wearing black or white clothing as a sign of mourning. This is not required of visitors but if possible, they should wear sombre and respectful clothing when in public and avoid colourful, eye-catching dress. Visitors should refrain from conducting any inappropriate or disrespectful behaviour. Most of the traditional and cultural events will be taking place as usual, although the celebrations may be changed for appropriateness as a mark of respect, or the events may be dedicated to the memory of His Majesty King Bhumibol Adulyadej. All transport, banks, hospitals and other public services will be operating as usual. The related authorities have stepped up safety and security measures for all Thais and visitors to facilitate their travelling around the country. All World Expeditions trips are operating as normal and do so with the utmost respect for the remarkable King Bhumibol Adulyadej and his people. Vietnam has been struck by severe flooding from a tropical low pressure event that brought rains of up to 900mm to central parts of the country in recent days. Reports indicate that at least 25 people have died and four are missing, with these numbers expected, unfortunately, to rise. Our thoughts are with those affected by this event. The regions affected (at present) are four provinces in the central north of Vietnam (Quang Binh, Quang Tri, Vinh and Ha Tinh). All World Expeditions travellers are safe and accounted for. The country is bracing for the prospect of more floods and landslides to come as Typhoon Sarika regroups over the South China Sea. Winds are forecast to be up to 150km per hour, with the storm expected to be in striking distance of Vietnam’s northern coast by tomorrow morning or possibly this evening. All cruises in Halong Bay will be cancelled for the next few days at least. Below is the status in relation to current and forthcoming trips (until the end of October). As always, the safety of our travellers is our foremost concern. If required, contingencies will be implemented. Naturally the situation is fluid and we are receiving regular updates from Vietnam as the situation unfolds. Best of Vietnam and Cambodia 1/10/16: The group have left Vietnam and are doing well in Cambodia. Vietnam by Bike 15/10/2016: Travelling to Hue by train tonight (18 October). The railway routes from the north to the centre of Vietnam are operating normally. The group completed the overnight cruise in Halong Bay as normal last night but this morning for safety reasons all the cruises returned to shore earlier than scheduled by about two hours; the trip continues to follow the itinerary as normal. Mekong Delta Cycle 15/10/2016: Trip runs in southern Vietnam, no impact at present. Waters Vietnam Adventure 17/10/2016: Halong Bay cruise is cancelled today, remaining in Hanoi tonight and will continue as normal tomorrow. The forthcoming trips below are expected to operate as normal however the situation is fluid and contingencies will be implemented if needed. The government has imposed a state of emergency in the majority of Rakhine State (except Sittwe and resort areas at Ngapali Beach) in response to armed clashes. World Expeditions does not offer trips in this area and all forthcoming World Expeditions trips are operational. The rest of the country is calm; the affected area is in the most northern part of Rakhine State and it is business as usual in the rest of the country. The people of Myanmar look forward to welcoming travellers as always. Typhoon Meranti made landfall early Thursday September 15 in Fujian province. The strongest typhoon to hit China this year has left 28 people dead and 15 others missing in the east of the country. Reportedly the worst hit area is Xiamen (or Amoy) and Fuzhou has been flood affected. World Expeditions trips do not go to any of these places so none of our trips have been impacted, however naturally we are watchful as ever during typhoon season. Chinese authorities on Saturday warned of high waves and strong winds from a new storm, Malakas, which was bearing down on the east coast of the Chinese mainland after skirting Taiwan; we will monitor the impacts of this new storm however it is likely to affect the same region as Meranti. Our thoughts are with those affected by these storms. All trips in China are operational as normal and as always we are carefully monitoring conditions, with trip changes implemented where necessary to ensure the safety of travellers. On the 24 August a 6.8 magnitude earthquake struck 19km from Seikphyu (south of Bagan) in Myanmar, resulting in the deaths of three and damage to some 187 pagodas and temples. All World Expeditions travellers and staff on the ground are safe and all trips have continued to run as normal. After an earthquake struck Bagan in 1975, more than 600 pagodas were poorly renovated. The parts of the pagodas that were renewed after the 1975 earthquake have been damaged but the ancient bricks have not collapsed. We will continue to monitor conditions locally and if necessary amendments to itineraries will be implemented however at this stage no significant changes are expected. As always the safety of our travellers is our foremost priority.